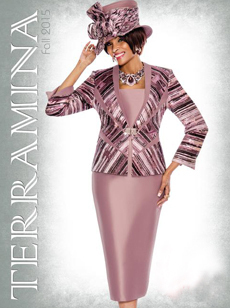 Regardless of the occasion, Terramina Church Suits is sure to have the perfect outfit to accommodate your needs. 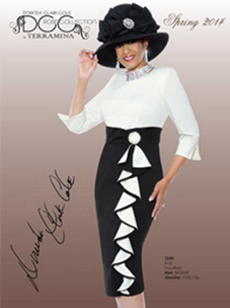 Consisting of a wide range of stylish collections, including Susanna, Annabelle and Dorinda Clark-Cole, Terramina Church Suits encompasses the very latest styles and designs to suit any event, function or gathering. While Terramina Church Suits has become well known for refined and glamorous church suits, it also produces a variety of other stylish creations perfect for religious, business or social functions. You can find exquisite 1-piece, 2-piece and 3-piece ensembles, all of which will embrace the same chic, classy and modern Terramina look. Terramina understands that any great outfit needs to have the right touches, which is why so many of their outfits come with matching designer accessories. So rather than waste your precious time struggling to find hats, purses and jewelry to match your outfits, leave it to the experts at Terramina and purchase an entire look! 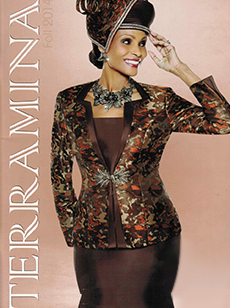 Look your best at any important event in a piece from the Terramina collection by Terramina Church Suits. Showcasing a wide range of classy, stylish and tasteful options, each outfit is made to suit any dignified setting. 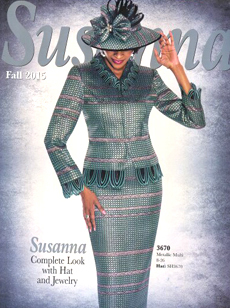 Perfect for business functions, religious gatherings or any dignified setting, the Susanna collection by Terramina Church Suits is something special. 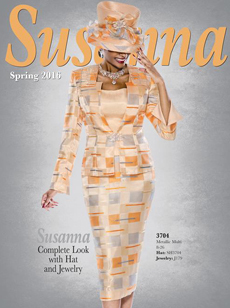 Modern, classy and tasteful, every outfit is made to have you looking your best. Stand out for all the right reasons at your next special event with a piece from the Annabelle collection by Terramina Church Suits. This gorgeous range features an array of elegant and stylish pieces that will ensure you look fantastic. Smart, stylish and superb, the DCC Rose collection by Terramina Church Suits features a selection of highly impressive creations. 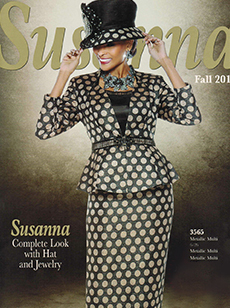 Every piece embraces a flattering cut, a tasteful style and a chic design that oozes elegance and class.